Only £50 deposit needed to secure your date. 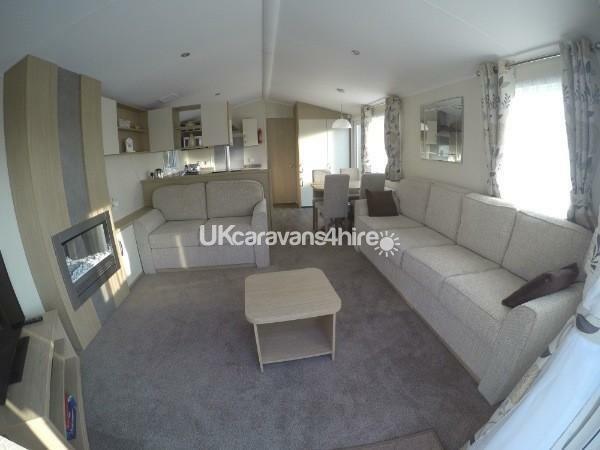 A £75 security deposit is required in case of any damage to the caravan during your stay. If there is no damage this will be returned to you within 7 days of departure. This will be due with your final payment which must be paid at least 6 weeks before arrival. 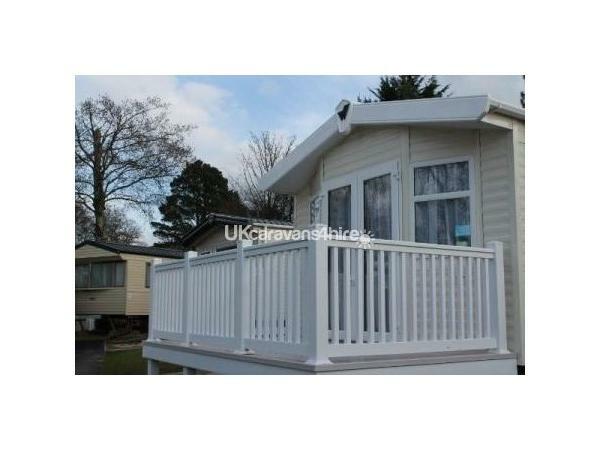 Our lovely 3 Bedroom static caravan is situated on Rockley Park Holiday Park. It has 3 bedrooms and can sleeps 6-8 people. 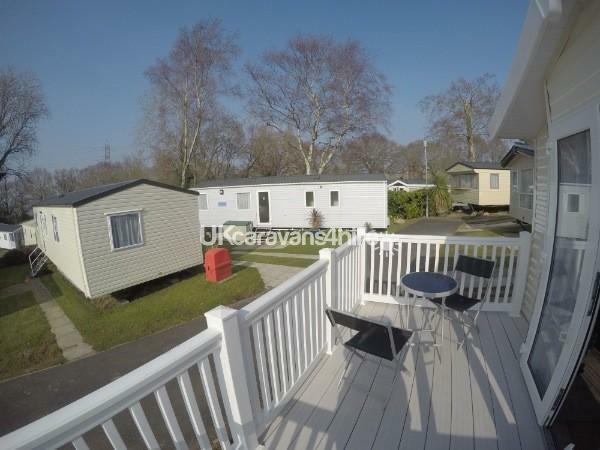 Our beautiful holiday home has central heating and double glazing to keep you lovely and warm early and late season. We have double doors in the lounge which open out onto the veranda with a bistro table chairs to sit and chill on a warm summers day. The kitchen is well equipped with a full size fridge freezer. Microwave, toaster, kettle. 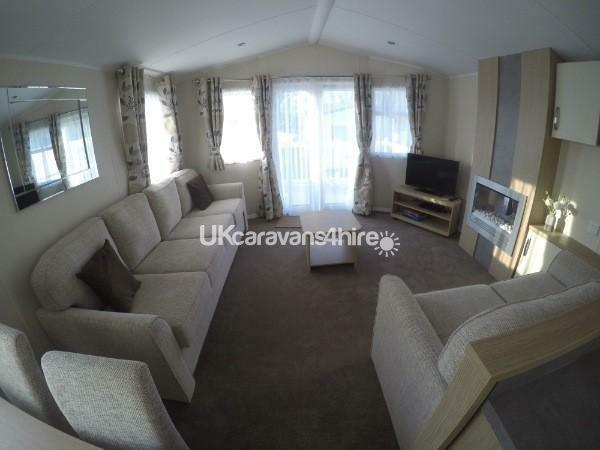 The lounge has a 4 seater and a 2 seater sofa including a sofa bed and a 40" TV with a DVD player. An iron and a small ironing board are also available along with a hairdryer. 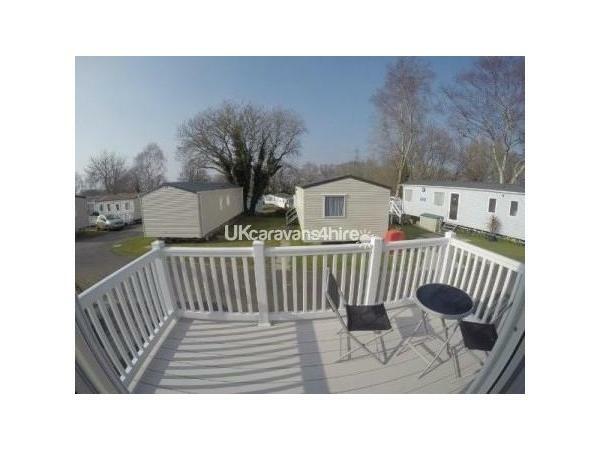 We are a family caravan and a high chair and travel cot are available along with some plastic tableware. We have a patio with a 8 seater picnic bench and parking space. We are situated in the middle of the park on Lytchett Bay View on a no through road. There are only 3 vans that need will need to drive past us. 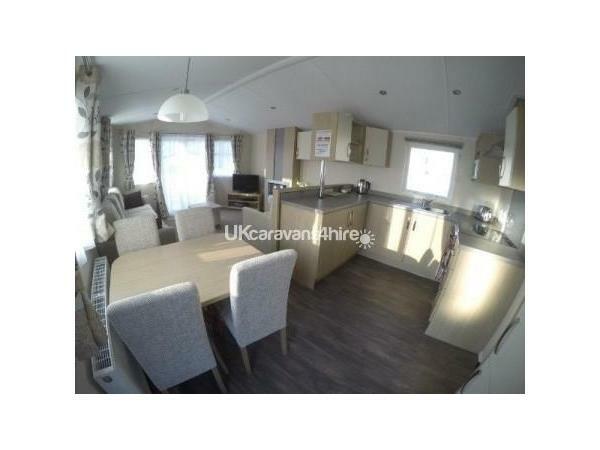 Kitchen - Fully equipped with gas cooker and hob, microwave, vacuum cleaner, mop and bucket. There is also a full size fridge freezer; very useful for cooling those drinks to enjoy whilst sitting out on the veranda soaking up the summer sun. Dining area - Freestanding table and chairs (seats 6) and a radiator. A highchair is also available. Lounge - Comfortable seating area, Freeview TV, DVD, sofa bed, various games and some books to keep the children amused on wet afternoons. 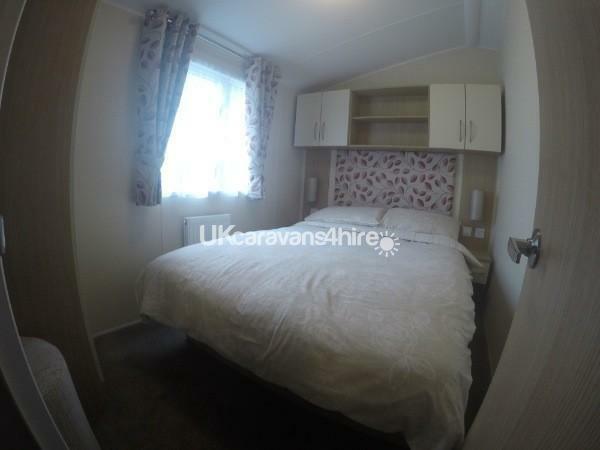 Bedroom 1 - Double bed with overhead storage cupboards, bedside drawers, wardrobe, dressing table, radiator and a nice full length window. 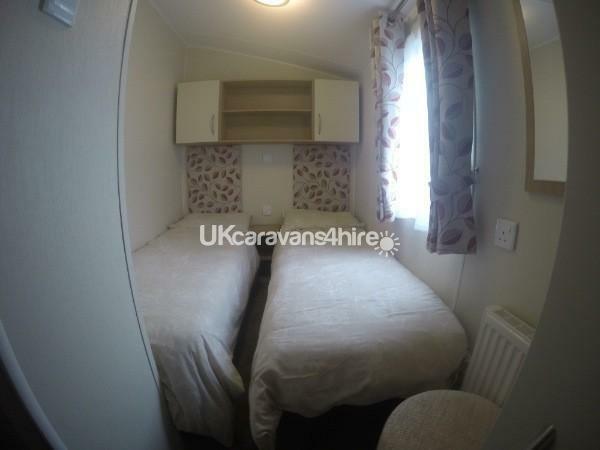 Bedroom 2 - Twin beds, overhead storage cupboards, wardrobe with shelf and radiator. A travel cot is also available. 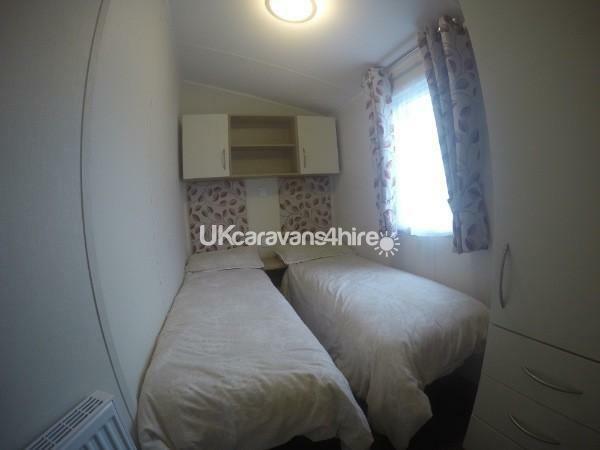 Bedroom 3 - Twin beds, overhead storage cupboards, wardrobe with shelves and a radiator. Bathroom - Wash basin, toilet and shower, plus 2 cupboards and a radiator. Cloakroom - Wash basin and toilet. Entertainment passes (if required) are to be purchased from the park either in advance or on arrival. Please note passes are checked you can not use the facilities without them. All bookings will require the lead guest to complete a booking form. 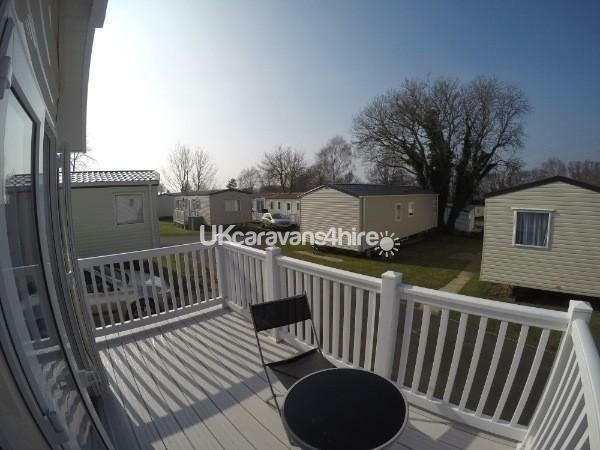 We require £50 deposit to book with the balance due 6 weeks before arrival. We also require a £75 security deposit to be paid with the balance. This is refunded within a few days of departure if there is no damage to the van or it's contents. Bed linen, if required is an additional charge of £10 per room (this can be ordered directly from Rockley), you will need to bring your own towels/tea towels. 2 swimming pools - indoor pool with waterslide, flume and splash zone and a outdoor pool for the warmer months. Lots of places to eat - Restaurant, fish and chip shop, pizza takeaway and Spar shop. Soft play area, arcade, 2 play parks, sports area, crazy golf, children's and adults' entertainment in the Live Lounge, featuring Haven's very own characters, The Seaside Squad with Rory the Tiger and Bradley Bear. Also, cabaret acts, bingo, late night discos and more! 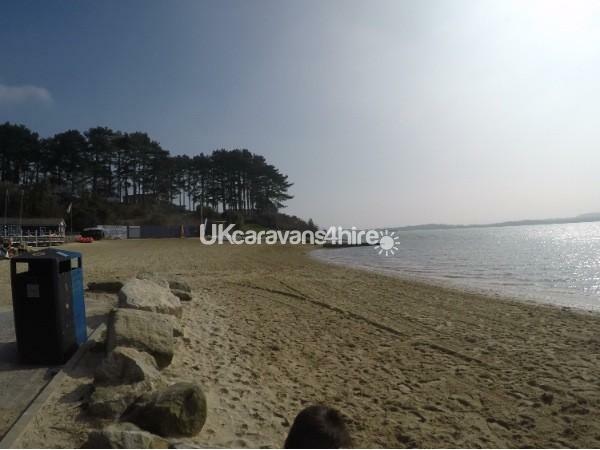 Small sandy beach on site with boat/watersports hire and play park and cafe. Also perfect for crabbing! There is also a public bus that goes straight into Poole town centre. There are loads of coastal walks close by and for the children there is the famous Monkey World nearby too. Other places to visit include Adventure Island, Farmer Palmers, Brownsea Island, Bovington Tank Museum, Lulworth Cove and much, much more!